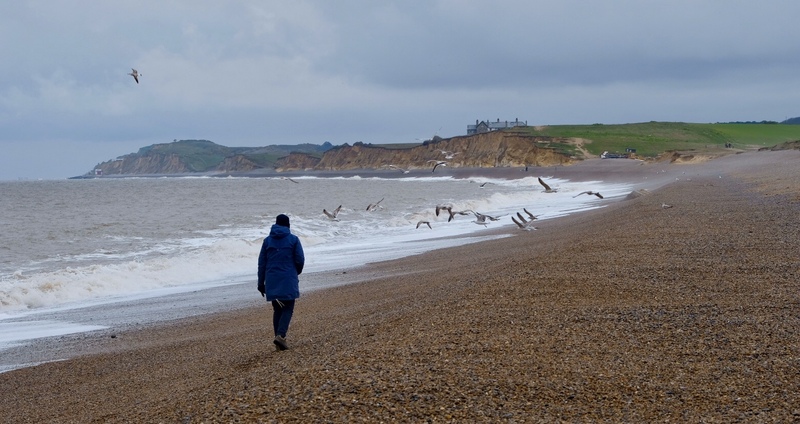 This morning, Rose, Tilly and I took a very pleasant if somewhat bracing walk along the beach near Weybourne in Norfolk. Then we noticed… it wasn’t dead… it was still breathing… Just. 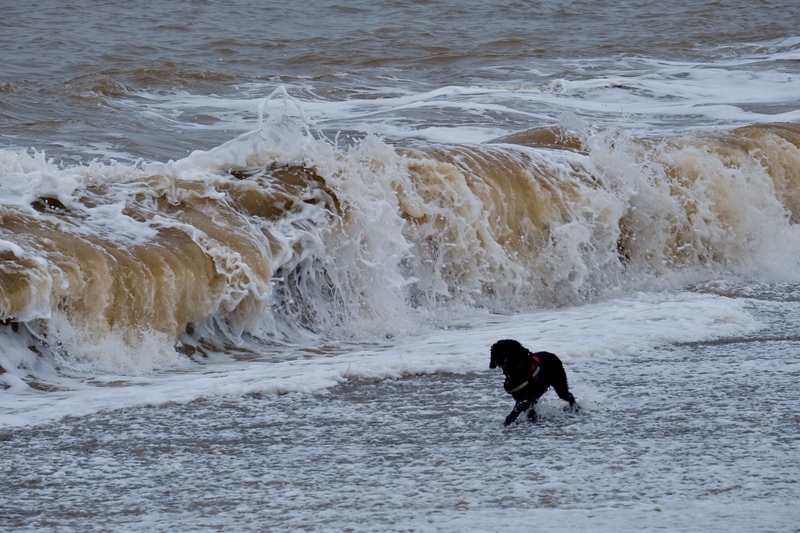 It had been a bit mauled by something, but wasn’t in too bad a state… but it was a long way up the beach. So I picked it up, waded into the sea to boot-depth and threw it back into the waves, where I like to think it swam away. It certainly didn’t float away! My brother, on being sent the picture, identified it as a catshark. 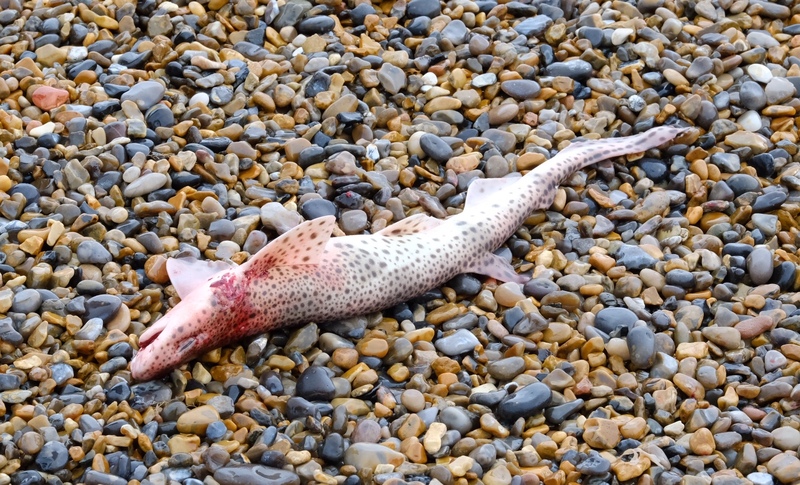 They don’t grow to much more than about three feet long, so I feel it’s unlikely to come back and terrorise the beaches of North Norfolk as a result of my actions.